Millburn Township is a beautiful residential community located in the southwest corner of Essex County. Millburn Township has an excellent school system. New Jersey Magazine has ranked the Millburn Township school system among the top 3 school districts in the state. The Township offers a wide variety of recreation programs, including a Community Pool and a Par 3 Golf Course, making the community appealing for families. In addition, Millburn Township has many fine restaurants, a movie theater, the Hilton Short Hills, rated by AAA as a Five Diamond Hotel, and a wide variety of cultural events, including the renowned Paper Mill Playhouse and the Cora Hartshorn Arboretum and Bird Sanctuary. The Mall at Short Hills, located on the western side of the Township, is a beautiful regional shopping center in which many fine shops and stores are located. Our prices are right. Our service is top notch. First Choice Executive Suites is owner operated. Joy Fickett is on site. Joy and her staff offer professionalism and years of business experience. Let us handle your administrative needs while you keep on working. 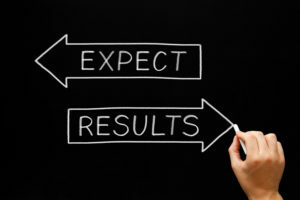 Expect results from First Choice.